Creativity comes in many forms: finding new ways to manage a toddler’s temper tantrums, painting a portrait which moves observers, or solving a business efficiency problem. Creative thinking fuels new ideas, novel solutions, and often greater happiness. While many people associate creativity with intense, one-sided emotional experiences, some research suggests ambivalence may play an important role in creative thinking. Ambivalence is a state of mixed feelings or conflicting views. An ambivalent person might wish to follow multiple courses of action (Example: wanting to see two movies that play at the same time). Ambivalence could also mean seeing valid points in both sides of an argument. For example, a person might think abortion is immoral in most cases but still support the pro-choice movement. Ambivalence can be an uncomfortable experience, particularly when people feel ambivalent about topics of deep personal importance. An individual might feel ambivalent about their relationship with an imperfect parent. They might love raising children but hate how much parenthood limits their freedom. Deeply ambivalent people may struggle to make decisions. This can feel exhausting, frustrating, and deeply paralyzing. For a powerful example, witness the extreme decision fatigue of Chidi Anagonye in the popular TV series The Good Place. Yet the discomfort of ambivalence can fuel creative thinking and thoughtful decision-making. People grappling with this discomfort may want to consider how ambivalence enables them to see issues from multiple perspectives. Ambivalence can enable them to maintain an open mind, reduce the risk of bias, and could ultimately lead to better decisions. Researchers once thought only positive emotions fueled creativity. This seems logical at first blush. It makes intuitive sense that a person who is happy while writing is more likely to write creatively. But emerging research suggests an emotion’s intensity, not its positivity or negativity, is what actually affects creativity. A study published in 2013 claims states of low emotional intensity tend to broaden a person’s cognitive scope. Meanwhile, states of high emotional intensity narrow their cognitive focus. In other words, nervousness or amusement are more likely to boost creativity than terror or ecstasy. Positive and negative emotions seem to affect creativity equally. Good decisions aren’t made when you’re frustrated and trying forcefully to ‘figure it out.’ When you free yourself from the trappings of your logical mind, you will be able to see and hear other solutions that go beyond what your mind can think up.Another 2013 study found that having diverse emotional experiences can play a role in creativity. One trait the study examined was “affective engagement”, or the extent to which people are open to feeling a range of human emotions. The study found affective engagement supports more creative achievement in the arts. This trait predicted artistic creativity better than either a person’s IQ or their intellectual interest in the topic. These results point to the role of ambivalence in creativity. People who are open to the full scope of human emotions are more likely to experience some ambivalence—both envy of and happiness about a friend’s success, for example. People who are not open to uncomfortable emotions may try to repress negative feelings. A 2006 study supports the notion that ambivalence can provide creative fuel. In two lab experiments, researchers found people experiencing emotional ambivalence were more adept at recognizing unusual conceptual relationships. This may support creative thinking. The study argues ambivalence is an unusual emotional experience, a combination of seemingly incompatible feelings. People who feel ambivalent may be more sensitive to unique associations that those not experiencing ambivalence fail to notice. 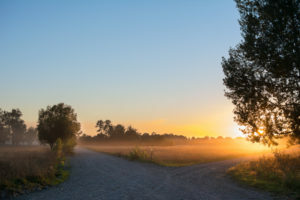 Kim Egel, MA, MFT, a California therapist who often works with creative thinkers, highlights the role of ambivalence in freeing the mind to make decisions. “When you think of making a decision as a creative process, that perspective can help you to get out of your logical head and help you tap into your heart space. Good decisions aren’t made when you’re frustrated and trying forcefully to ‘figure it out.’ When you free yourself from the trappings of your logical mind, you will be able to see and hear other solutions that go beyond what your mind can think up,” she told GoodTherapy. Creative thinking is, by definition, thinking differently about something. Ambivalence allows a person to integrate multiple perspectives. Certainty may feel comfortable, but it is unlikely to help a person move beyond their preconceived notions to produce novel solutions. Like most emotional states, ambivalence is neither inherently good nor inherently bad. People should instead assess ambivalence based on how it affects their lives and overall well-being. People who experience creative thinking and thoughtful problem-solving during states of ambivalence may come to rely on it as a useful tool. For others, ambivalence prevents thoughtful decision-making and undermines relationships. It becomes a relationship pattern. Some people feel ambivalent about all of their relationships. This can be a way to avoid intimacy or escape responsibility. It can also destroy relationships. A person is ambivalent because of chronic mental health issues. For example, people with anxiety may have trouble making decisions because their anxiety forces them to evaluate every potential risk. Ambivalence causes intense distress. Some ambivalent people are not able to make decisions quickly or easily. They can feel pressured to make the “perfect” decision in all circumstances or to pay equal respect to every possible opinion on an issue. Ambivalence is due to negative societal forces. For example, a woman with a high-status position in a male-dominated field may feel ambivalent about her success because of impostor syndrome. Sometimes people feel ambivalent because they worry they don’t deserve their success or that they can’t trust their own emotions. Therapy can assist with all these issues and more. A compassionate therapist can support an individual as they learn to understand and grapple with feelings of ambivalence. They can help the person trust their own feelings, make decisions, and abandon fear or self-doubt. Rather than dismissing all ambivalence as negative, the right therapist can help a person derive value from the experience.